A warm welcome awaits you in Zakynthos Planos Beach Hotel in Tsilivi. Welcome to Planos Beach Hotel at Tsilivi resort… Have a lovely accomodation! A big warm hug are waiting for you at Planos Beach Hotel in Tsilivi. 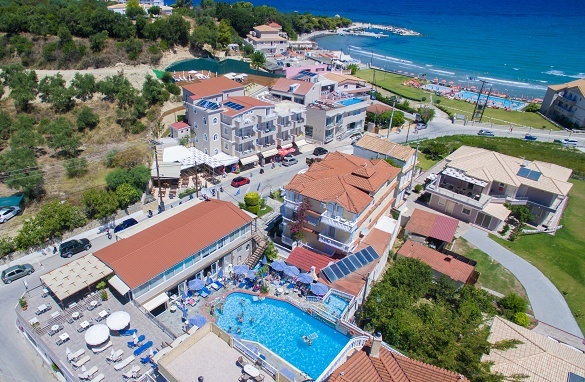 The complex is located in one of the most popular resort of the Zante island.Here you may find ecerything you need all the time of your hoilidays, since Planos Beach Hotel offers a variety range od options and facilities. The center of Tsilivi is located just a few minutes on foot, where you may find restaurants, many taverns, touristis shops and many bars. Planos Beach hotel is not just a shelter, since it provides extensive facilities and a large range of options for all ages. Planos Beach offers all the amenities, for unforgetable holidays.